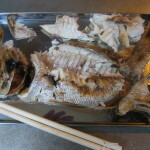 Sea bream or snapper is called “Tai” in Japanese. 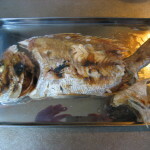 As I mentioned in earlier article, sea bream is often served at the celebration day. Taimeshi is a typical menu for celebration. It looks luxury and it is luxury in fact because it cooks a whole sea bream. 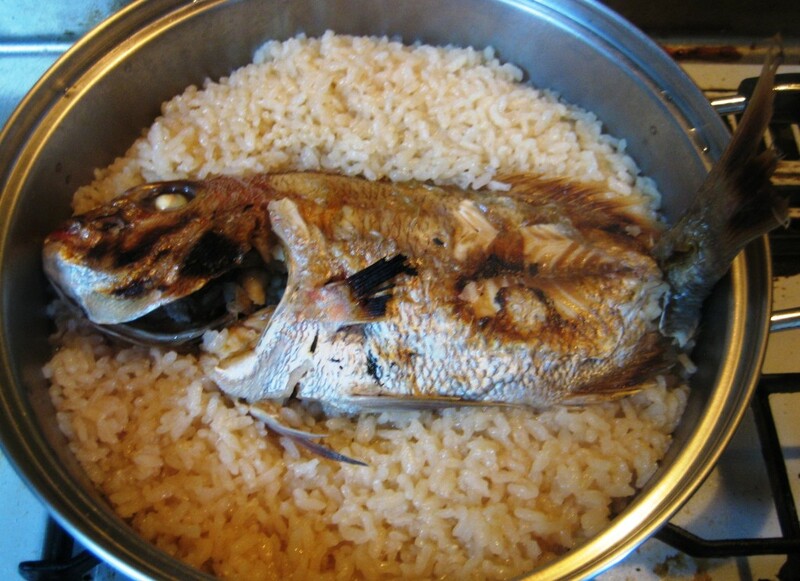 It is a kind of “Takikomi-gohan” which is steamed rice with some ingredients. It is originally a local food in Ehime prefecture in Shikoku island. They have two types of Taimeshi, one is like above and the other one is cooked with sashimi of sea bream. 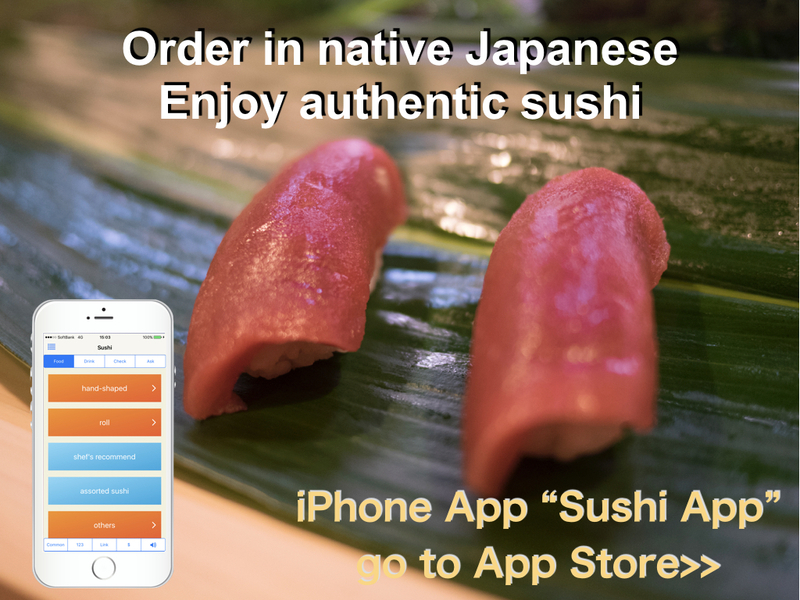 I have never eaten sashimi type. 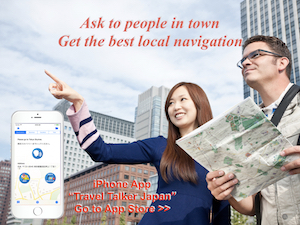 I think above photo type is general and popular in Japan. 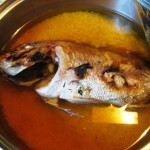 I like it because we can enjoy very good broth from sea bream and rich taste. However there are many kinds of Takikomi-gohan, it is one of my favorites Takikomi-gohan. It is usually cooked in earthenware pot, but I cooked in a normal (stainless) pan at this time. 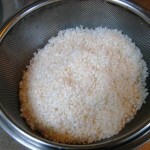 1) Wash rice by water and put in strainer to remove water. Leave it for about 30min. 2) Put salt on sea bream well and then grill it well. Scales, gills and internals (stomach etc.) should be removed in advance. 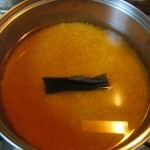 3) Put rice, water, soy sauce, sake, salt and kelp in a pan. Then place grilled sea bream on the top. 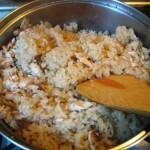 4) Place the lid and heat it on a strong heat. 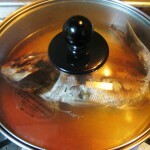 When it boiled, turn to middle heat for 5 or 6 min. Then turn to low heat for 7 or 8 min. 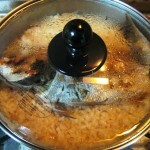 5) Turn off heat and leave it about 10 min. The lid should be placed. This process is streaming rice well. 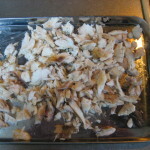 6) Pick out sea bream from then pan. Then separate meat and born. There are some meat around head part. Especially under eyes, there are very good meat. 7) Put meat into a pot and mix well. 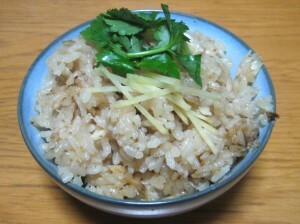 Serve it in a small bowl (chawan) and put ginger pieces and mitsuba as toppings. This menu looks luxury, but it is easy to cook. Please try it if you got fresh sea bream (snapper).